Salesforce duplicates (duplicate records in your Salesforce CRM system) are one of the primary issues that result in Salesforce users being unable to generate accurate reports and dashboards. Even worse, duplicate records can result in killing user adoption of Salesforce to the point where sales people avoid using Salesforce. Who could blame them? If there are multiple records with largely the same information how does one know which one to use? Preventing and eliminating Salesforce duplicates is one of the primary topics we’ve focused on over the past year. With this in mind, as 2011 draws to a close, we thought it might be helpful to list all of the posts from 2011 relating to Salesforce duplicate records, along with a brief summary of what each post is about. 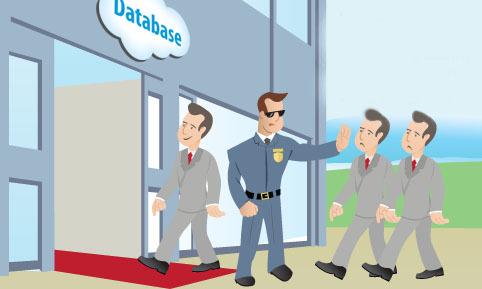 Wishing you and yours a successful 2012 free of duplicate records in Salesforce. Use this short workflow process to help prevent the creation of new Salesforce duplicate records. StarrForce has partnered with RingLead to eliminate your duplicate records for you. A video blog on how to take multiple lead sources and combine them without creating duplicate records in Salesforce. You’ve come back from the trade show with a lot of great leads. In this post we go into to detail on the various ways you can import those leads into Salesforce to help you figure out which method is best for you. If you sync Outlook and Salesforce and are preparing to upgrade to Windows 7 here’s what to do to avoid accidentally creating tons of Salesforce duplicates. Part 1 of 2. This post has perhaps the most bizarre photo of any post in 2011. But more importantly, it quickly tells you how to prevent duplicate records in Salesforce before importing the data. How to use the Salesforce Lead Import Wizard to prevent importing duplicate records into Salesforce. Perhaps our shortest Best Practice of the Week and a simple idea that can save you hours of time.